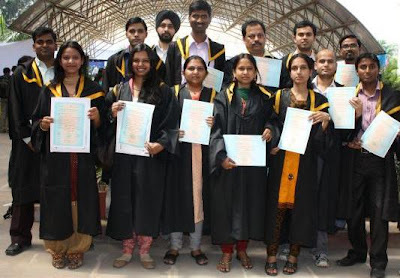 IGNOU 26th Convocation 2013 degree registration online form 2013 Indira Gandhi National Open University India 26th Convocation will be held on 13th April 2013 all student who have passed the exam of June 2012 TEE Term Exam Examination will be awarded degree certificates. Student are requested to the registration forms and submit the Fee of Demand Draft of Rs. 400/- per degree certificate towards the fee as per the instruction in the Degree Registration form. Item Reviewed: IGNOU 26th Convocation 2013 Degree Registration online 9 out of 10 based on 10 ratings. 9 user reviews.